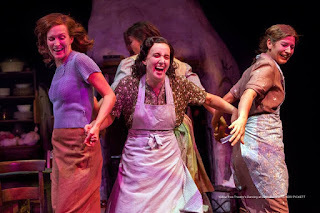 Irish playwright Brian Friel's Dancing at Lughnasa is a perfectly lovely play, and a wonderful choice for the perfectly lovely Yellow Tree Theatre. The eight-person cast is actually on the large side for their cozy and intimate space nestled inside an Osseo strip mall, but the warm, humorous, and melancholic tone is a perfect fit. 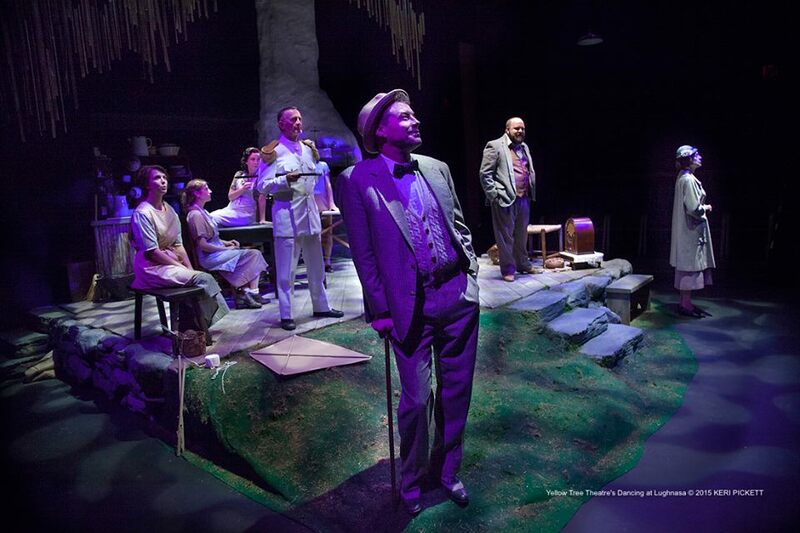 It's a beautiful play and a beautiful cast, and will leave you with a warm and wistful feeling. 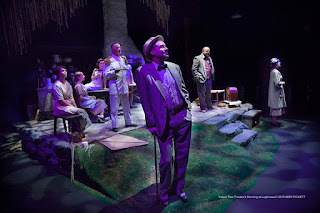 Despite being a fan of all things Irish, I don't believe I'd ever seen a Brian Friel play, other than his adaptation of Checkhov's Uncle Vanya at the Guthrie a few years ago. In his story of the five Mundy sisters living together in a small farmhouse in County Donegal in 1936, he has captured the mix of joy, sadness, music, and family that is uniquely Irish. The sisters are a loyal and devoted family, yet are all individuals searching for something, something they never quite find. It's a bittersweet joy to watch their struggles towards a better life. 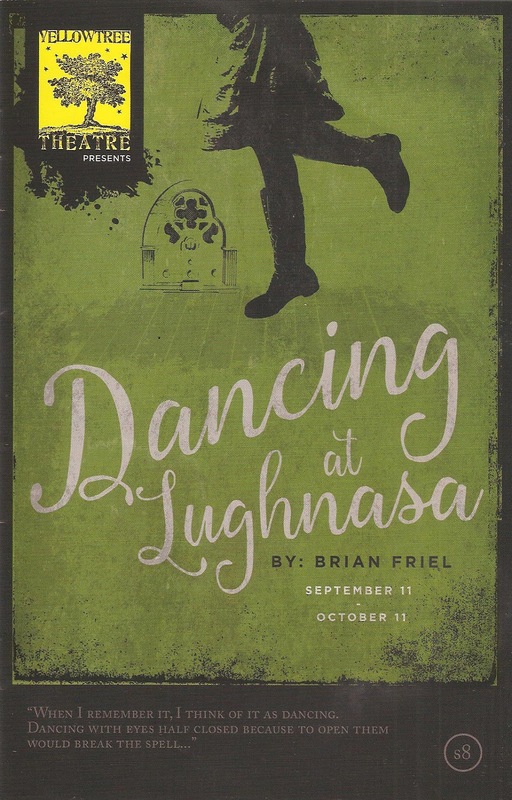 Dancing at Lughnasa is a memory play in the spirit of The Glass Menagerie. Michael, the son of youngest sister Christina, narrates the story as his adult self, while his 7-year-old 1936 self is never seen but is often talked to and about by the Mundy women, who obviously dote on the fatherless child. Or rather, the child of a father who's never around except for occasional visits, including during the events of the play. Gerry stirs up all of the women, especially Chris, with a hope that can never be fulfilled. Also throwing their world into disarray is the return of their older brother, the "leper priest" Jack, from 25 years of serving in Uganda, where he became a bit too enamored of the native ways for the Church's liking. These two events, along with developmentally disabled sister Rose's possible romance, the closing of the knitting factory where she and Agnes work, and the family's new wireless, create a moment in time that Michael remembers as one of the last happy times in the family, soon to be followed by work, sadness, and tragedy. The play is a lovely and bittersweet exploration of this family and their relationships in a changing world. Under the direction of Jon Cranney, this wonderful cast feels like a family, with all the love, connection, and annoyance that goes along with it. Katherine Ferrand, Jessica Lind Peterson, Carolyn Trapskin, Rachel Weber, and Melanie Wehrmacher play these five very different sisters, and throughout the course of the play we get to know and love each of them, despite their shortcomings. Jason Ballweber's Michael is a warm and likeable guide through the story, Michael Lee is the charming absent father, and Patrick O'Brien is appropriately befuddled as the newly returned Father Jack. The ninth character in this play is Jeffrey Petersen's set, which somehow transforms the small thrust stage at Yellow Tree into the Mundy's entire world - the warm and rustic farmhouse and the rich green of the Irish countryside. Dancing at Lughnasa is a great beginning for Yellow Tree Theatre's 8th season, which continues with a remount of last year's holiday hit A Hunting Shack Christmas, the smart and funny Raisin in the Sun follow-up Clybourne Park (last seen at the Guthrie), and one of my favorite musicals - Violet. It's a good time to go to Osseo!